Brian Melarkey began his working life in the arts and made the shift to communications in 2005. 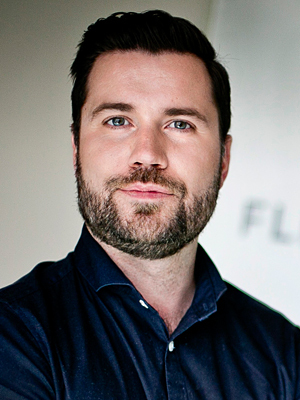 In 2012, he became the first creative director in FleishmanHillard’s EMEA network. Specialising in consumer and FMCG marketing communications, Melarkey has overseen creative activations for numerous Irish and international clients. Current clients include Cadbury, Philips, Gillette, Boots, Ulster Bank, Steak n Shake, Musgraves and Centra. Brian’s role is a cross company function that sees him work across a wide selection of the agency’s client roster. Melarkey helps lead ContentWorks, a division that delivers high quality content for client campaigns across multiple communications platforms. The ContentWorks studio produces bespoke design content for social media, television adverts, copy writing and development, event collateral, and commercial video. In 2013, he was creative director on the Cannes Lions winning ‘Golden Moment of the Games’ campaign for P&G. This prestigious award marked the first time an Irish PR company won at the Cannes Lions Festival of Creativity.